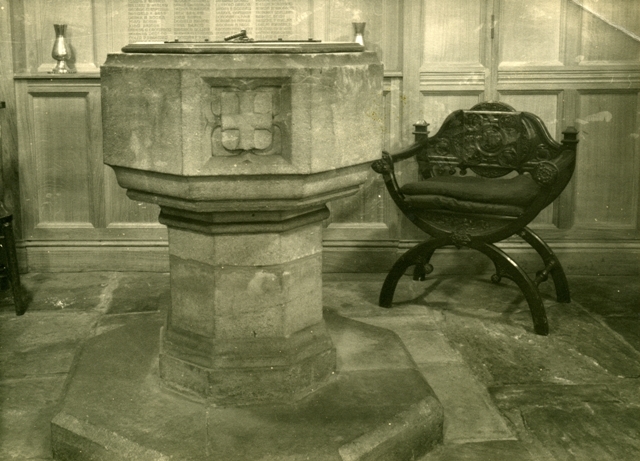 The font's position in front of the tower arch was right when the entrance to the church was through the tower door, but it was now more appropriately placed in the baptistry near the south and main door. As mentioned earlier, it was decided to include the congregation in the Baptism service and this area has been used as a library and crèche. 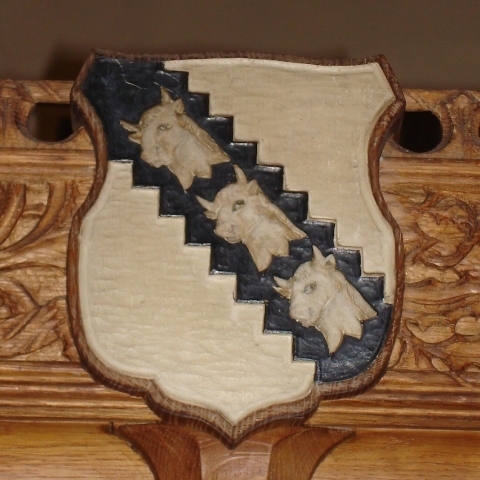 On the screen over the entrance to the baptistry are carved the escutcheons of the Heaton and Hulton families. 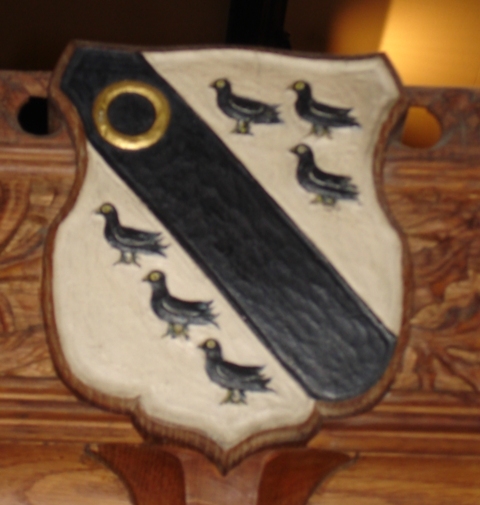 Inside the baptistry are the Tempest escutcheon and the familiar one of the Borough of Bolton. 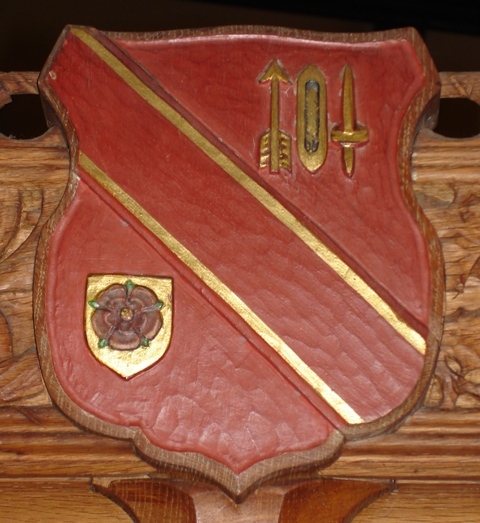 The escutcheon of the Borough of Bolton. 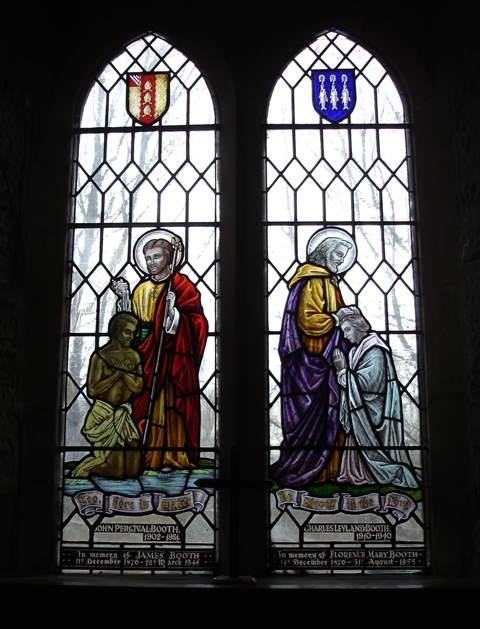 On the south side is the Bowden window (1932), in memory of Clara Bowden, wife of James E.Bowden, a sidesman. 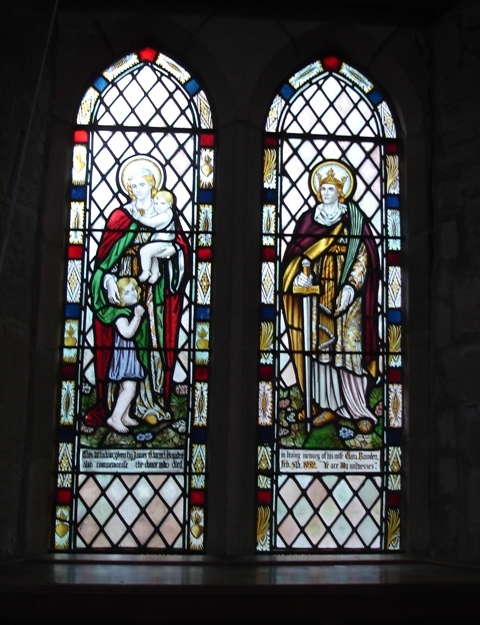 The left light shows St. Mary with children; on the right, our Lord wearing a crown, and holding a sword and reed. On the west side is the Booth window (1946) - in memory of James Booth who was a churchwarden, and Florence M. Booth. Also of John P. Booth (died 1981) and Charles L. Booth (died 1946). In the upper part of the left light is the arms of Manchester Diocese - three mitres set vertically. 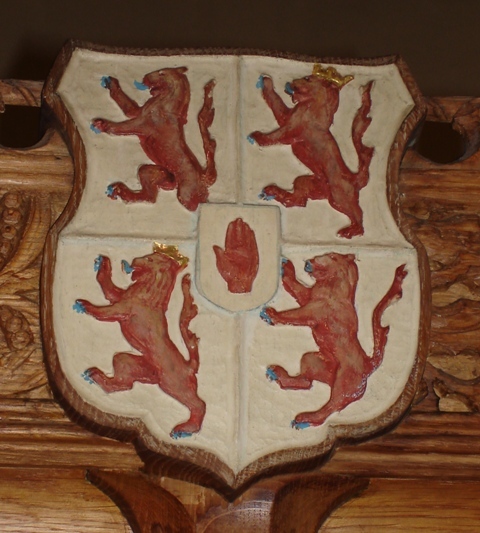 The upper part of the right light shows the arms of Whalley Abbey - three fishes holding Bishop's crooks. St. Philip's meeting with the Ethiopian official is portrayed - as told in the Acts of the Apostles, Chapter 8. 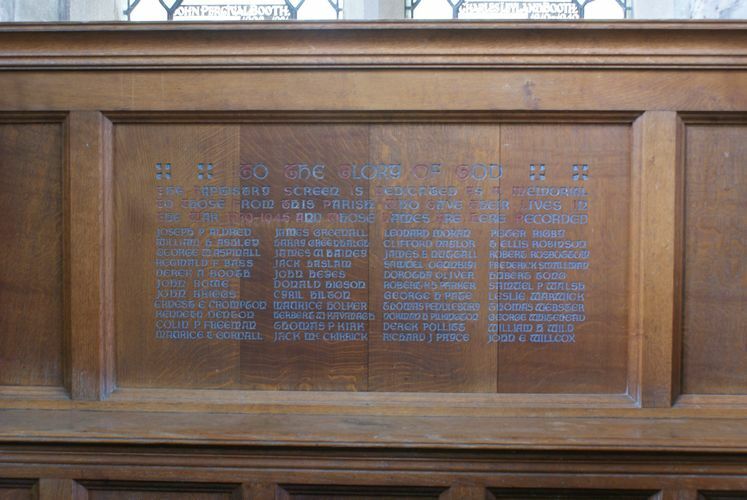 The tribute to the War Dead lists the following "TO THE GLORY OF GOD: The Baptistry Screen Is Dedicated As A Memorial To Those Of This Parish Who Gave Their Lives In The War 1939-1945 And Whose Names Are Here Recorded"